Come check out the Mt. Hood Senior Solutions Launch Party! Mt. 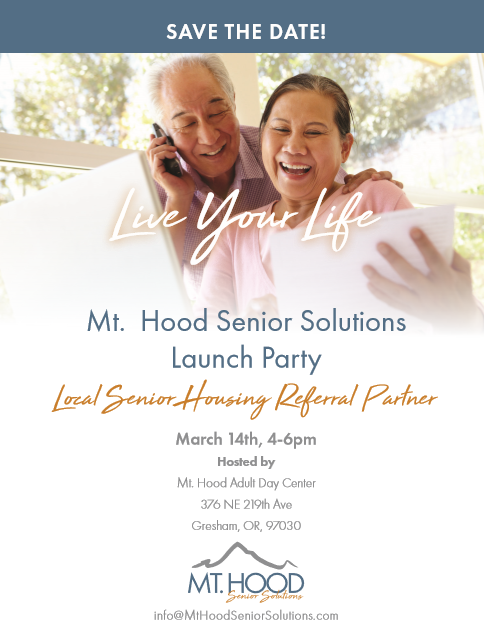 Hood Senior Solutions is a Local Senior Housing Referral Partner.